On October 15th, Partner Steff Geissbuhler will present the firm's identity and signage work for Morgan Stanley Smith Barney at the iMedia Connection Financial Marketing Summit. Steff will be presenting alongside Ramona Boston, CMO of Morgan Stanley, at 3 PM at the Metropolitan Club in New York City. The event is free to marketers and agency executives (seats by invitation only). Request an invitation here . See full summit details here . 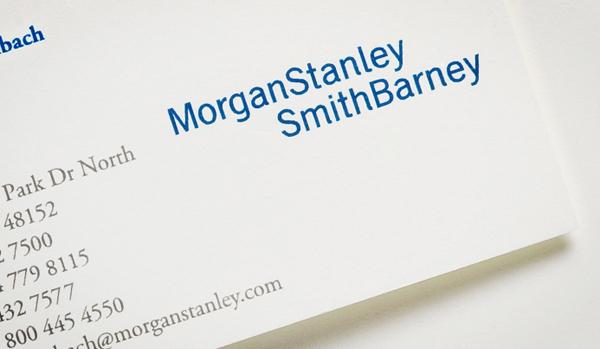 See more on our work for Morgan Stanley Smith Barney here . Read a past Fresh post here .